Crisp, delicious potato chips made with just a touch of heart healthy olive oil and air fried to a golden brown. Our Fun, Fantastic, Fearless, Foodie Extravaganza member Anne of Simple and Savory, is hosting this month and asked us to join her for National Potato Lovers Day. 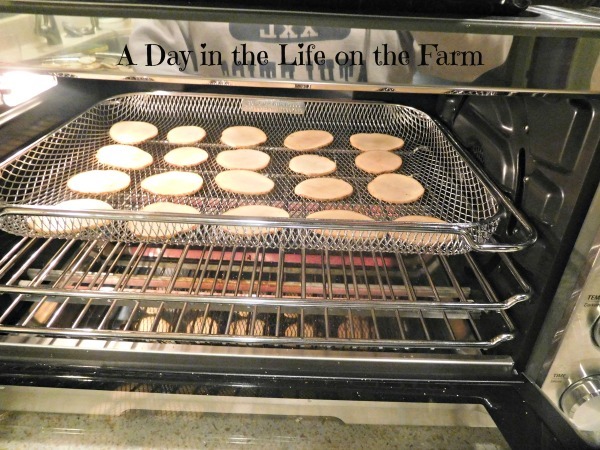 Foodie Extravaganza is a fun group that celebrates Food Holidays each month. February celebrates tons of food, most notably chocolate for St. Valentine's Day. I was very happy when Anne decided to celebrate potatoes instead. Don't get me wrong. I love chocolate but we don't eat chocolate nearly every day. We do, however, eat potatoes at least twice a week and I am always happy for new ways to prepare them. I got a new smart oven for Christmas that I have been having tons of fun with. It has numerous settings, including an air fry setting. Have you gotten onto the air fry bandwagon yet? 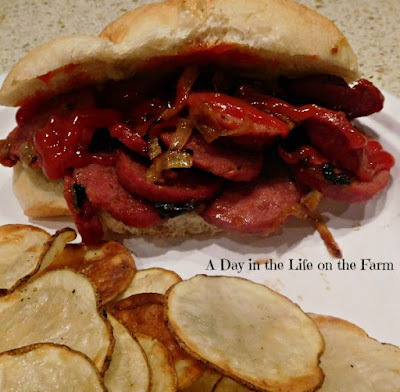 I served these chips up with Fried Bologna and Onion Sandwiches. It was perfect for last Sunday's game day. Toss the potato slices with olive oil, salt and pepper. Place into an air fryer basket in a single layer and cook in batches until golden brown and crispy, about 15 minutes. Transfer the chips to a baking sheet, sprinkle with additional salt if desired. 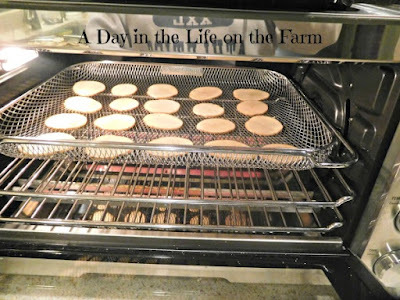 Keep warm in a 200* oven while making additional batches if doubling or tripling the amount. I'm more than a little envious of your smart oven. Okay. I'm a lot jealous. But being able to have chips at the ready probably isn't a good thing for me! Thanks for sharing. I never thought I would like this as much as I do. It never even was on my radar and when I opened it at Christmas I wasn't really sure what it did but I am loving it now. How fun! This makes me want an air fryer. That texture looks perfect! I am coveting your smart oven. Luckily I have an air fryer and will be making these asap. 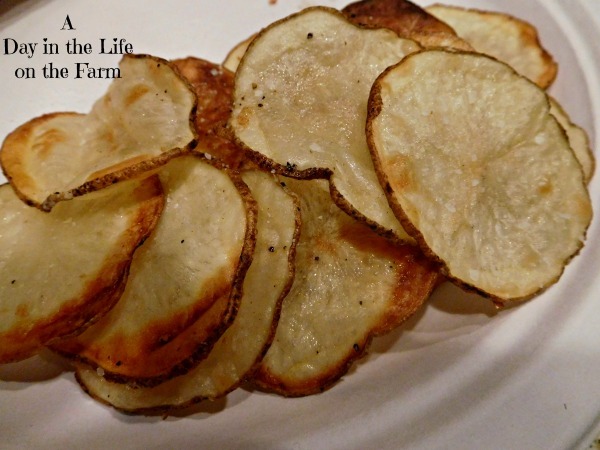 Um yum...I really need to try making homemade potato chips! Yes, I have always deep fried them in the past but I daresay these were even better. 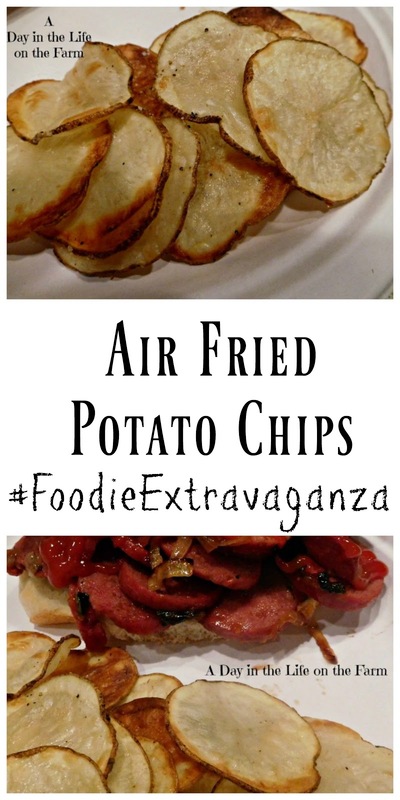 These Air fryer potato chips look so tempting and addictive, they are guilt free, love them. Let me know how they turn out for you Anne.